14" wheelplate pol. stainless- 4.5", 4.75" & 5" on 5 lug pattern. Now you don’t have to worry aboutgetting brakes dust on your expensivewheels. 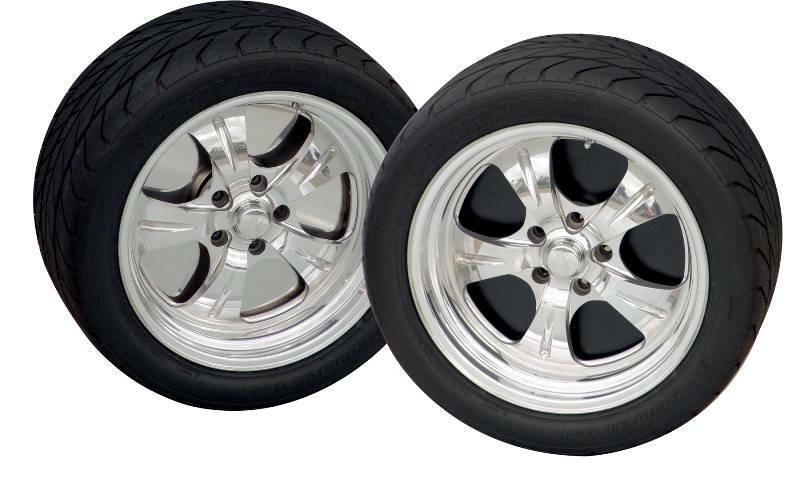 By using our Wheelplatesyou virtually eliminate that brakedust problem plus accent the lookof your wheels. By attaching a setof these beauties you hide the frontsuspension and brakes and... THEYARE PAINTABLE! That’s right, you can paint them to match the color of your ride. Wheelplates areavailable in wheel diameters from 14” to 22” with bolt circles from 4.5”, 4.7” and 5”.Wheelplates are made from 18 gauge black powdercoated steel and 20 gauge polishedSTAINLESS steel. They are heavy enough not to bend or dent and are CNC laser cut fora perfect balance. NOTE: These Wheelplates will NOT clear a brake caliper that hangs overthe mounting face of the hub. This includes most front wheel drive cars!